Persons interested in applying for certification or recertification should follow this general procedure. (For Intern recognition see separate instructions). Step 1: Read carefully the section entitled “Classification Chart for Photogrammetry and Mapping Sciences." Step 3: Read the preceding sections (“Basic Requirements" and “Educational Credit"); ascertain that actual work experience with or without educational credit meets conditions listed under “Basic Requirements." Step 4: If applying for initial certification download an application for Photogrammetrist/Mapping Scientist OR Certified Technologist and reference forms or contact ASPRS Headquarters: send an email to certification@asprs.org or call (301) 493-0290 ext 101. Step 8: Be prepared to furnish additional background information if requested by the Evaluation Committee. Step 9: Upon notification of approval by the Evaluation Committee you must take a written examination within six months of approval. Matrices illustrating the mix of examination questions by specialty area have been prepared for applicant review. Please note that workshops on preparation for certification are offered via webinar and during most ASPRS Conferences. The purpose of the workshop is to prepare individuals who are planning to sit for the ASPRS Certification exams. The workshop begins by explaining the purpose and form of the exam. Key topical areas are identified which an applicant should be aware of prior to taking the exam. Basic concepts and sample questions are reviewed to show how these topics will be tested on the exam. Finally the workshop identifies resources which examinees should be aware of to utilize in their preparation for the examination. The Manual of Photogrammetry 5th edition Chris McGlone editor 2005. Remote Sensing and Image Interpretation 5th edition Lillesand and Kiefer 2015. Elements of Photogrammetry: With Applications in GIS Wolf and Dewitt 1999. The Manual of GIS Marguerite Madden editor 2009. Fundamentals of Remote Sensing and Airphoto Interpretation 5th edition Avery & Berlin 1992. Airborne Topographic Lidar Manual Michael S. Renslow editor 2012. Many texts on surveying can be excellent review material. The Professional Conduct Committee which investigates allegations and complaints involving practicing photogrammetrists mapping scientists and technologists and recommends appropriate action to the Board of Directors. The Society’s Professional Practice Division monitors and develops policy guidelines for the program. The Board of Directors is the final authority on matters involving certification and professional conduct. Applications for Certification and Recertification will upon receipt at ASPRS Headquarters be reviewed for completeness. When the required references have submitted Confidential Reference Forms they are combined with the application. Applications found to be in order are sent to the Chair of the Evaluation Committee whose membership includes representation from each major functional area of photogrammetry and the mapping sciences. The Committee will meet as required to take action on all bona fide applications. Applicants for certification recertification and geospatial intern will be notified of action by the Committee as soon as possible. Successful applicants for recertification will continue to be listed on the Active Certified Roll and will be awarded a certificate to show that the applicant has maintained skills in the technology. 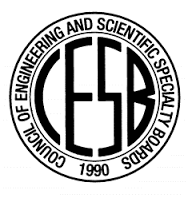 An embossing seal and rubber stamp which contains the name and certification number may be ordered from ASPRS by mail or FAX. There is a nominal fee for each. Certification and recertification are for individuals only. The designation of “Certified" may not be used in such a manner as to indicate that a business firm or agency is certified as an entity. Note: ASPRS certification seals and stamps can only be authorized by ASPRS and manufactured by ASPRS-approved vendors. Unauthorized seal or stamp production is a violation of copyright law and the ASPRS Code of Ethics. The Society reserves the right to change or amend the requirements for certification and recertification the educational credits or the administrative fee structure for review and evaluation if and when deemed appropriate by the Board of Directors. The Society further reserves the right to revoke a certification or recertification if in the opinion of the Board of Directors the person concerned has violated or shown flagrant disregard for the Code of Ethics of the Society. Since the program is entirely voluntary the Society assumes no responsibility for any loss or disadvantage real or imagined which may be alleged to have resulted from a disapproval of an application for certification recertification or revocation of the certificate once given. By submitting their application the applicant acknowledges that the Society will apply the internal standards adopted by its Board of Directors in evaluating the applicant and that it may reject any applicant who does not meet its minimum standards for certification or recertification. In consideration of ASPRS acceptance and processing of an application the applicant agrees to waive any and all claims of liability or responsibility against ASPRS and to indemnify and hold harmless ASPRS its directors officers committee members employees agents and representatives against any and all such injury damages or claims made by or on behalf of any person partnership association or corporation. Applicant further acknowledges that ASPRS its directors officers committee members employees agents or representatives are not liable to the applicant or to any other person partnership association or corporation in any way for any injury damages or claims alleged to be based upon or arising out of the approval or disapproval or the issuance withdrawal or termination of any certification or recertification issued by ASPRS.